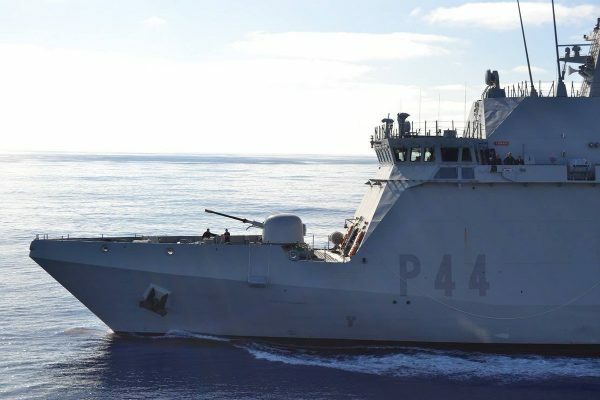 Saudi Arabian Military Industries (SAMI) tweeted on Wednesday that it has signed an agreement with Spanish shipbuilder Navantia to jointly manufacture five corvettes for the Saudi navy. The deal, announced earlier this year, is the first military contract signed by the kingdom with a foreign country since the murder of journalist Jamal Khashoggi, which caused a global outcry. The signing ceremony was held on Tuesday in Riyadh, said the state-run Saudi Press Agency, which carried photographs of the event. Khashoggi, a Washington Post columnist critical of the Saudi government and its Crown Prince Mohammed bin Salman, disappeared at the Saudi consulate in Istanbul on Oct. 2. The Spanish defense industry has come under fire for supplying weapons to Saudi Arabia because of concerns their use is causing civilian casualties in Yemen.